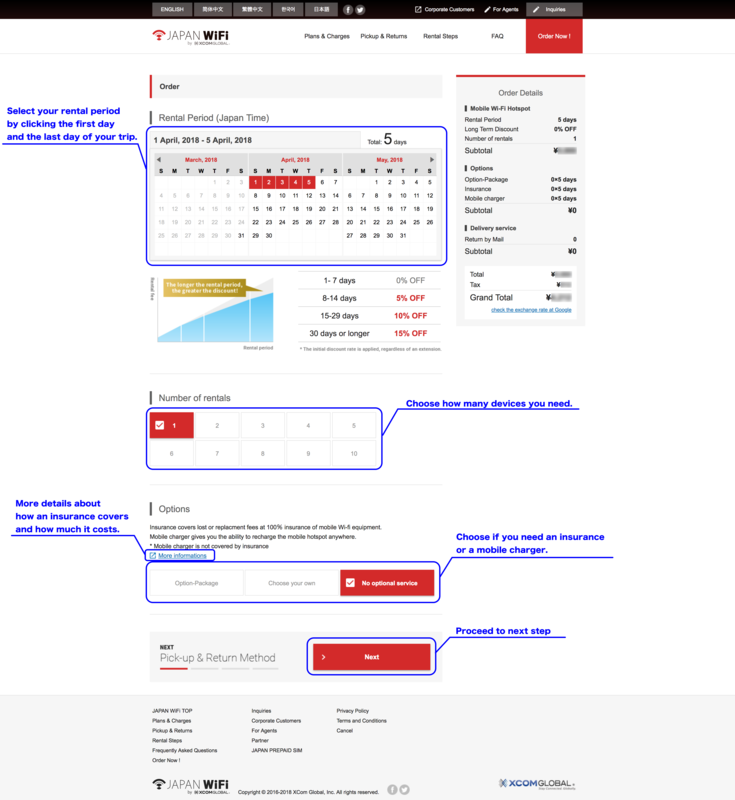 Here are 5 steps to book a reasonable pocket WiFi at JAPAN WiFi. You can start from when you want to pick up and return a pocket WiFi. If you want to rent more than 2 devices, please confirm its quantity here. 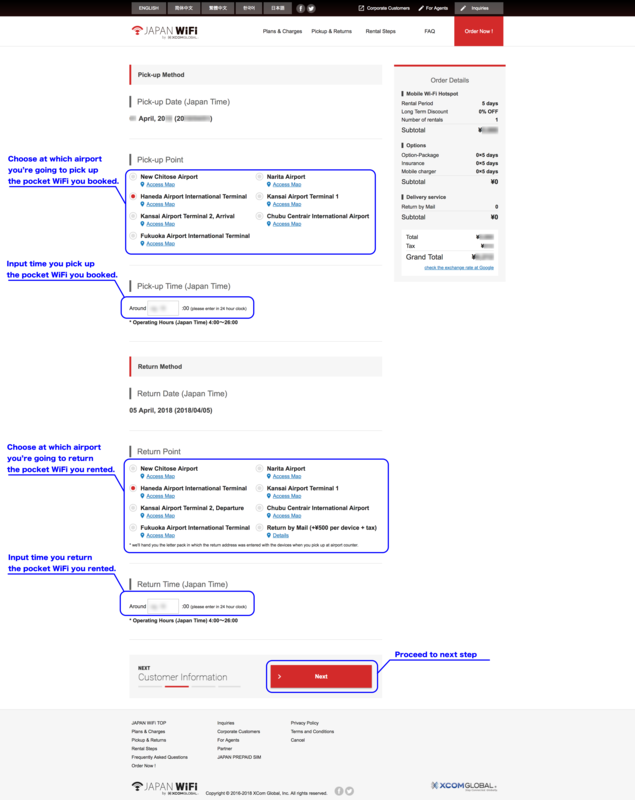 choose options if needed and proceed to the next page. Here you check at which airports you want to pick up the pocket WiFi and which aiports for return. 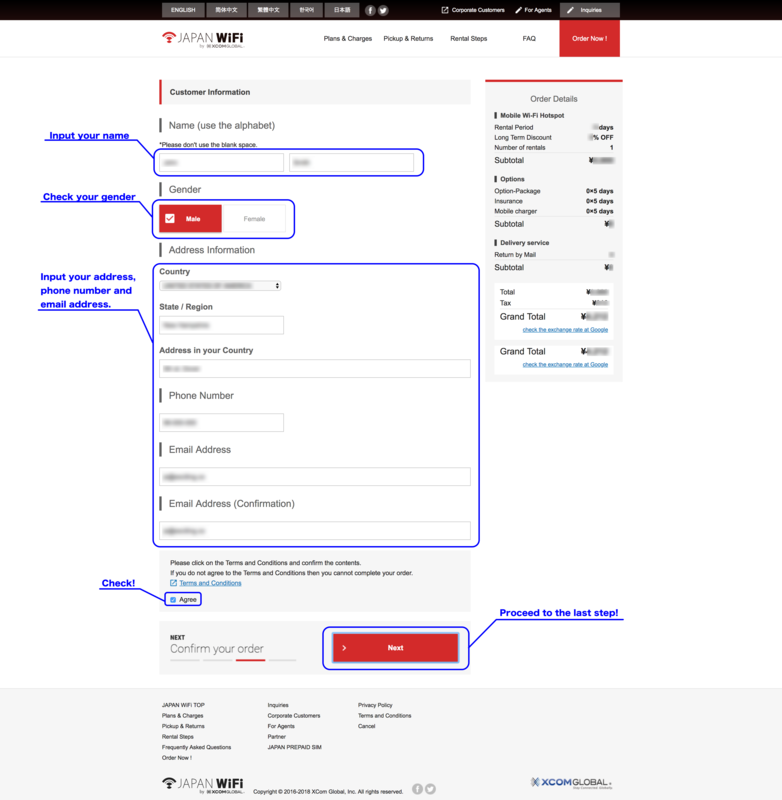 And then you need to input your persoanl information here. Confirm here if everything is correct. And If everything is OK please proceed to confirm your booking. 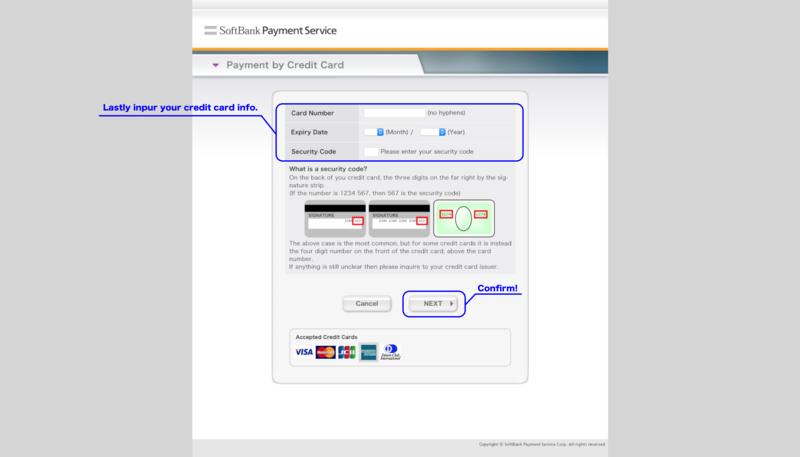 This page is for credit card payment. Please input your credit card info here. Depending on the stock of mobile Wi-Fi hotspots it may not be possible to fulfill all orders. Yes, not a problem at all. Please make sure to pick-up and return at the convenient Xcom Global kiosks. 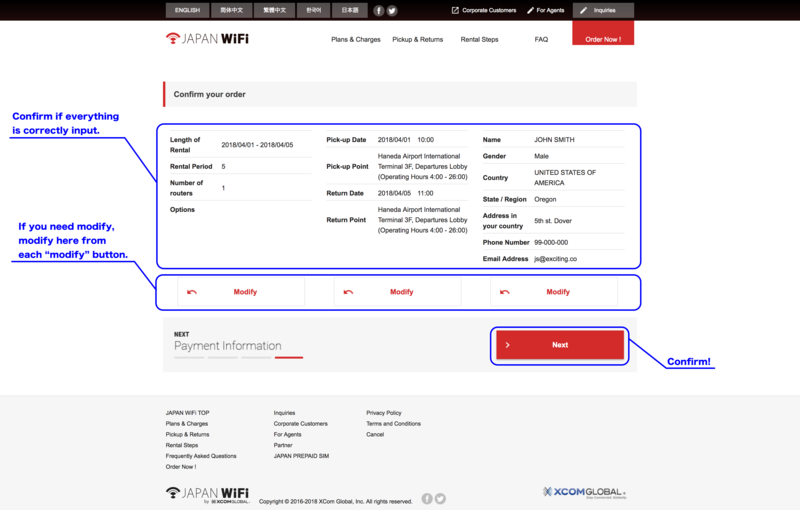 If you need to make a change to your existing order or cancel it altogether, please contact JAPAN WiFi from cancellation form as you can find in JAPAN WiFi site. *If you wish to change the details of an application, please cancel your original application and make a new one. Please contact JAPAN WiFi or stop by one of their kiosks prior to the end of the rental period. They will revise your information and charge accordingly upon return of the hotspot. If you do not contact us, late fees will incur at ¥2,000 (=tax) per day.